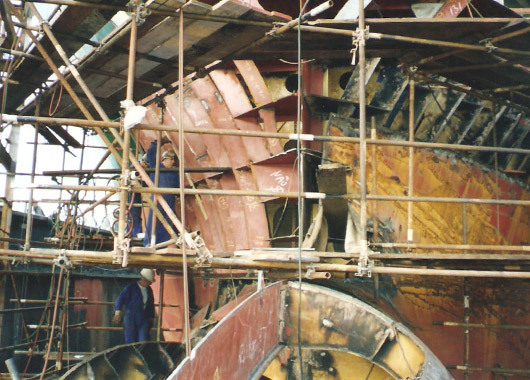 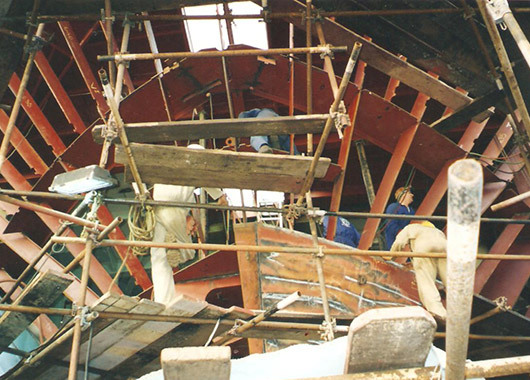 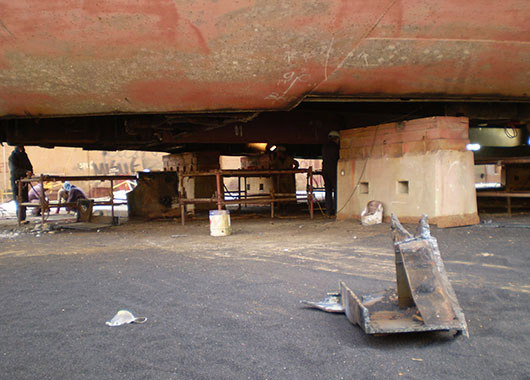 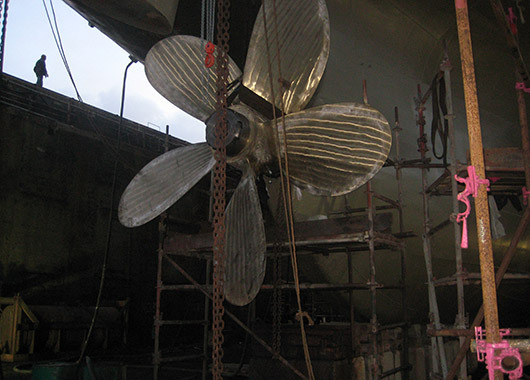 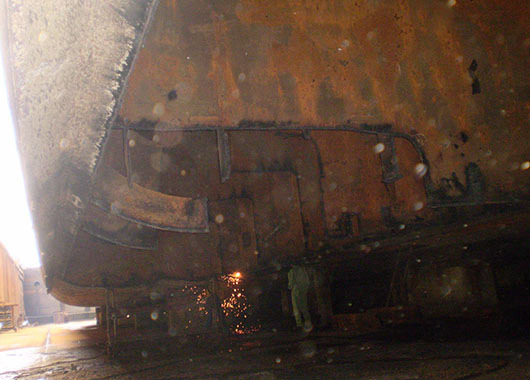 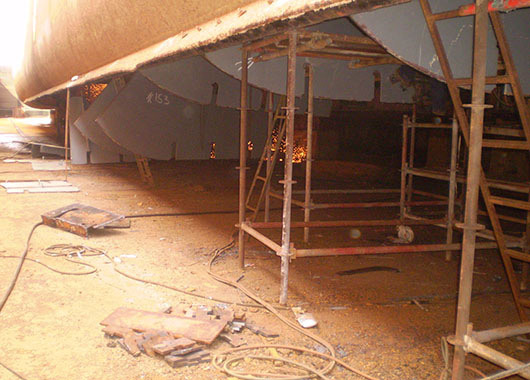 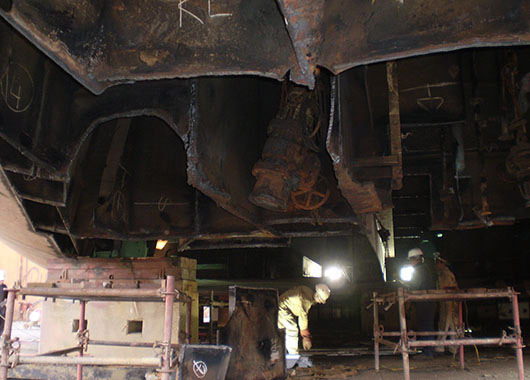 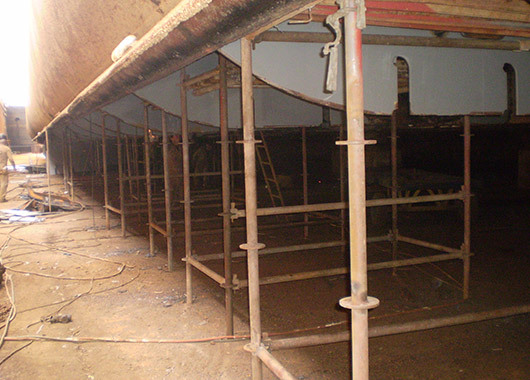 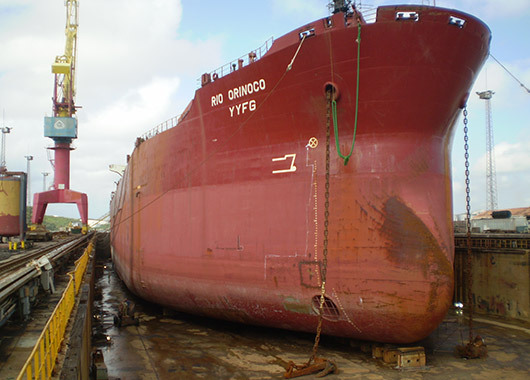 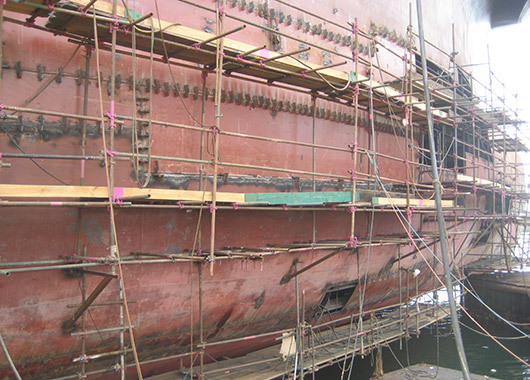 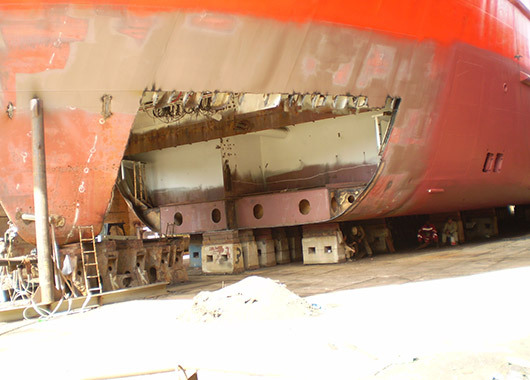 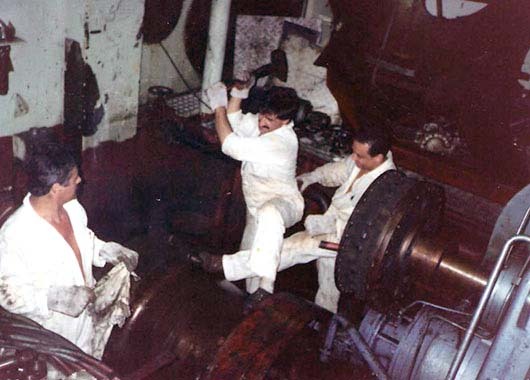 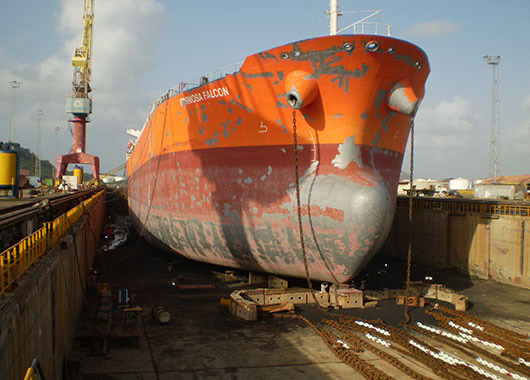 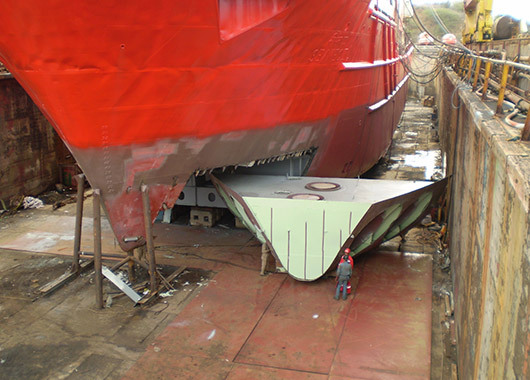 Repair of the bow and bulbos. 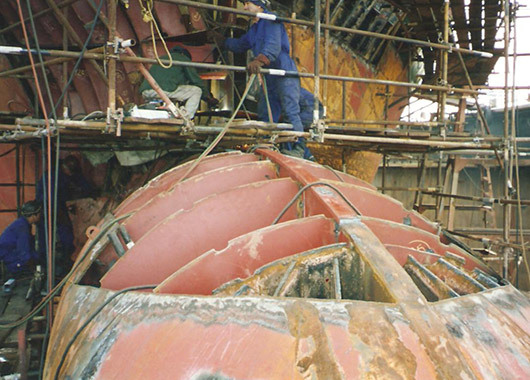 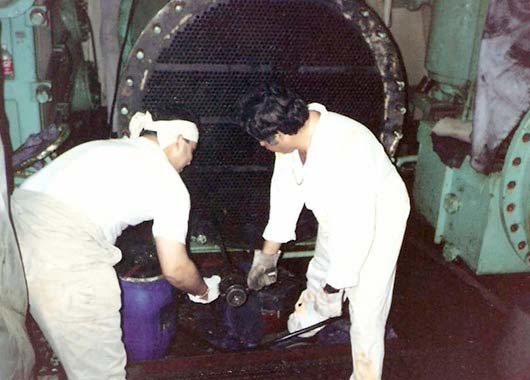 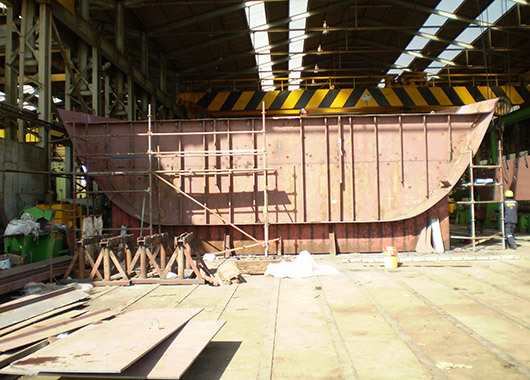 Repair of the sid and bow sid of the sea bord. 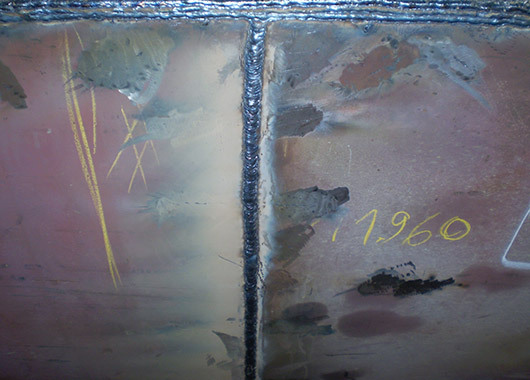 Cut off the old block build a new assembly and welding. 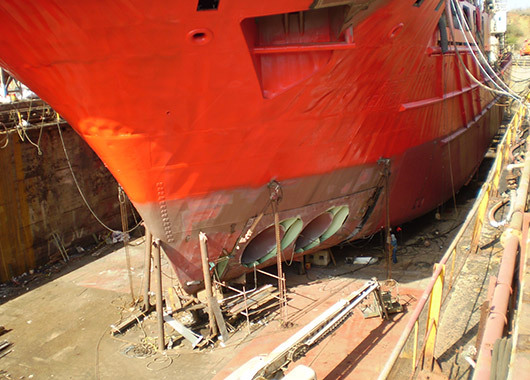 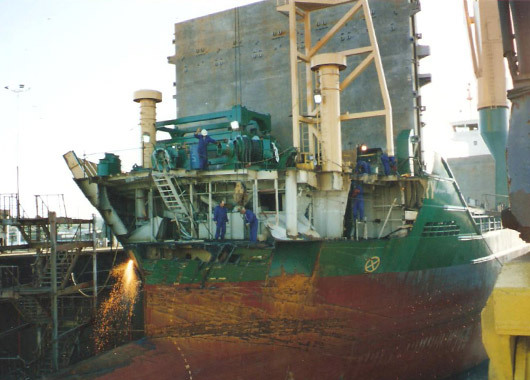 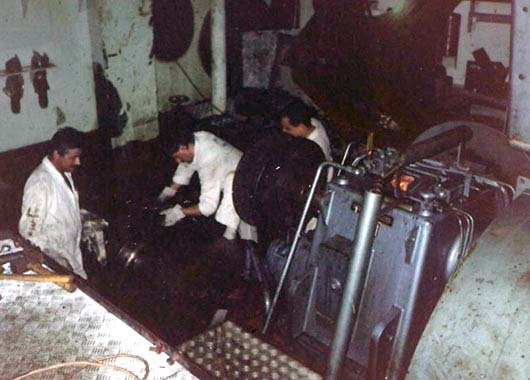 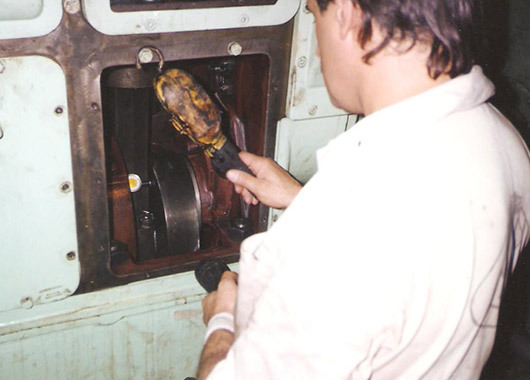 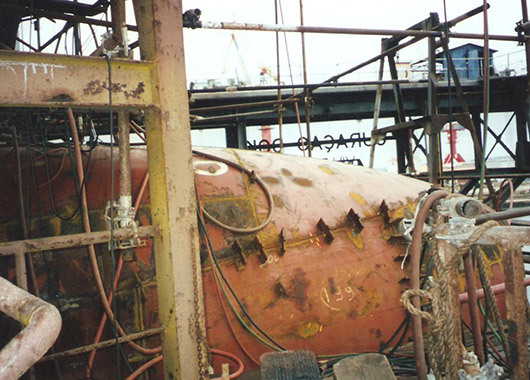 Repair sid plating sea bord: cut, mouting and welding. 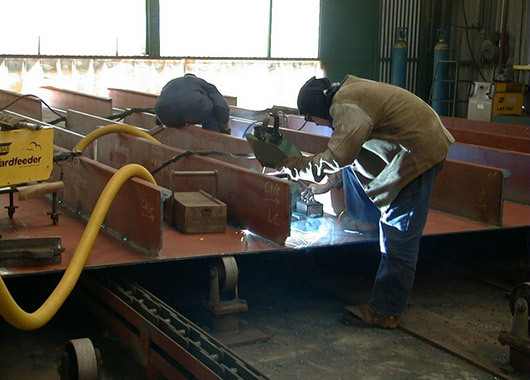 Repair botton plates: cut, mounting and welding. 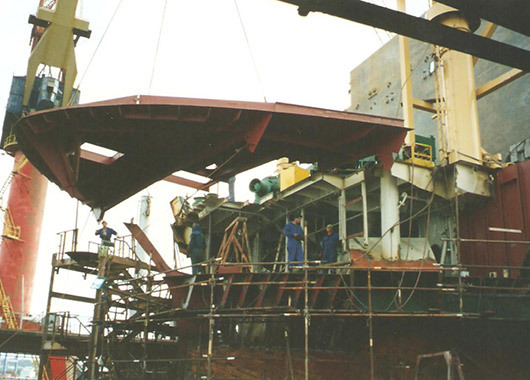 315 ton. 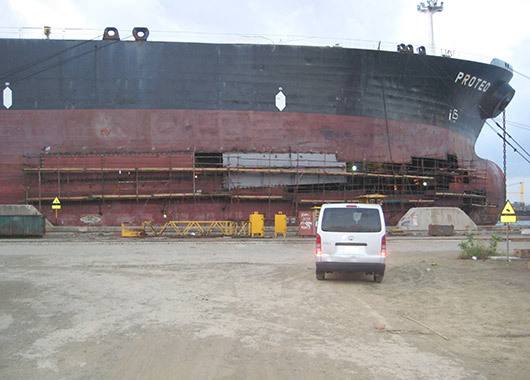 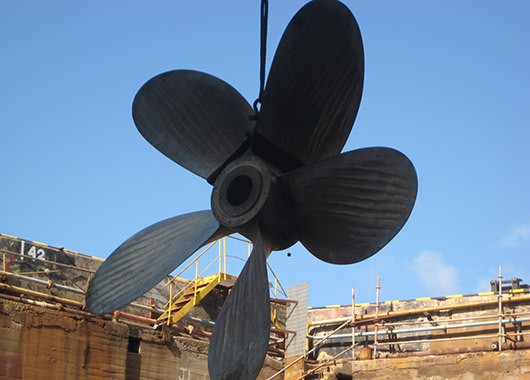 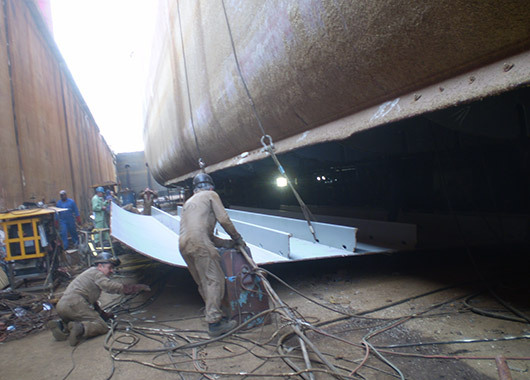 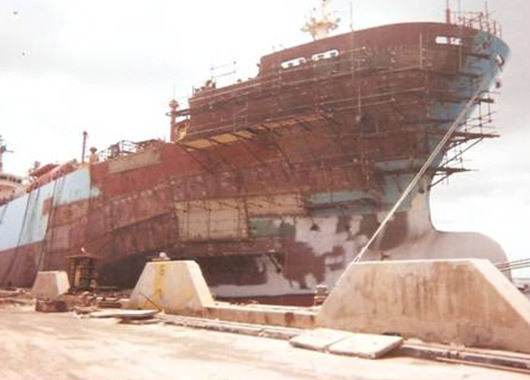 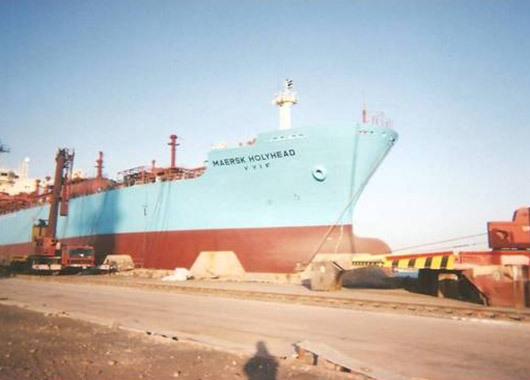 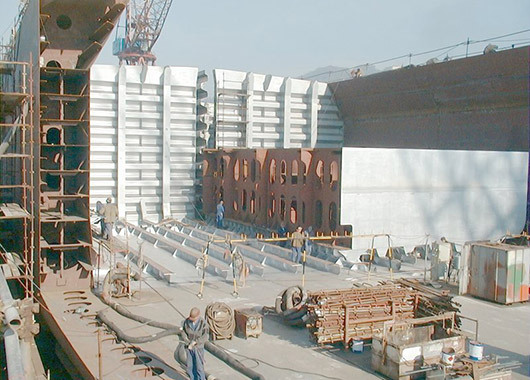 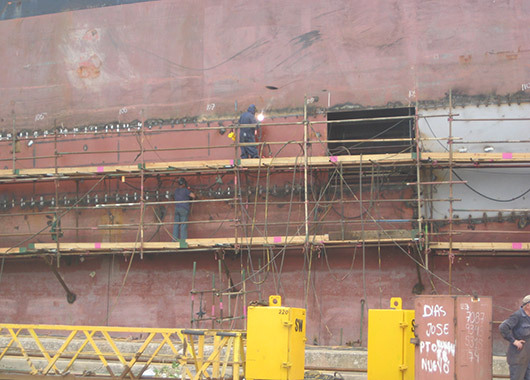 Some shipbuilding projects execututed by Universonave: 2 LNG ships, 5 fishing vessels and 1 cargo ship. 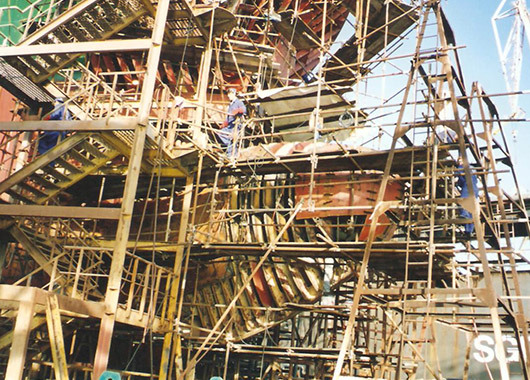 Some work in mechanical execututed by Universonave. 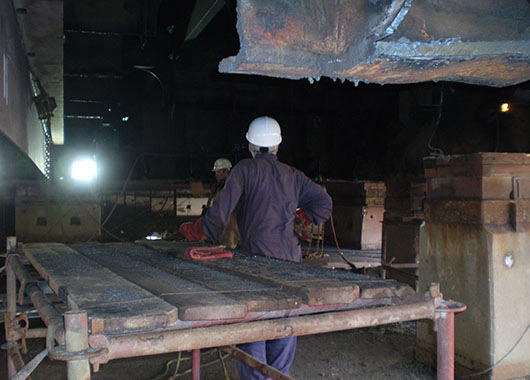 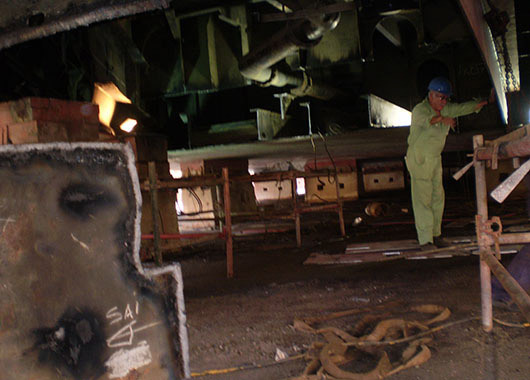 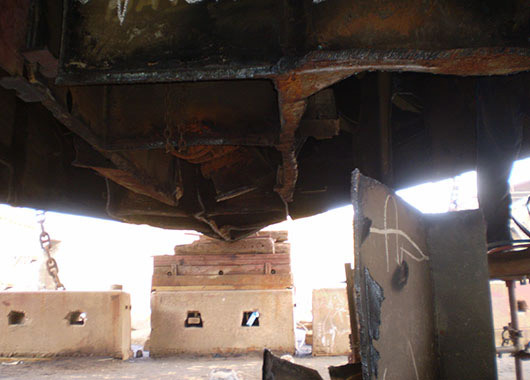 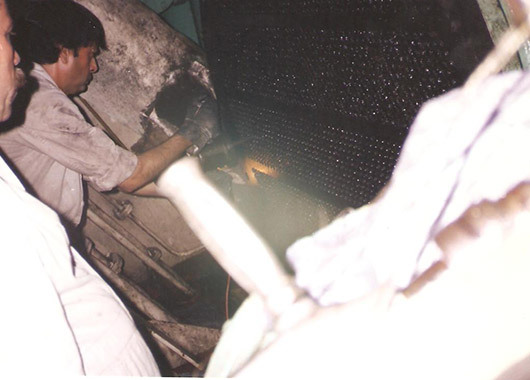 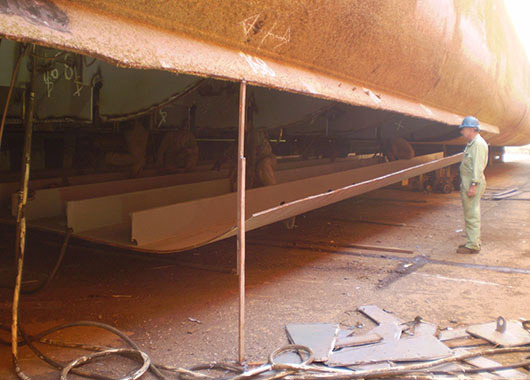 Doble botton: Peak Tank, Tank #1-#2#, internals and botton plates: cut, remove, mouting and welding.